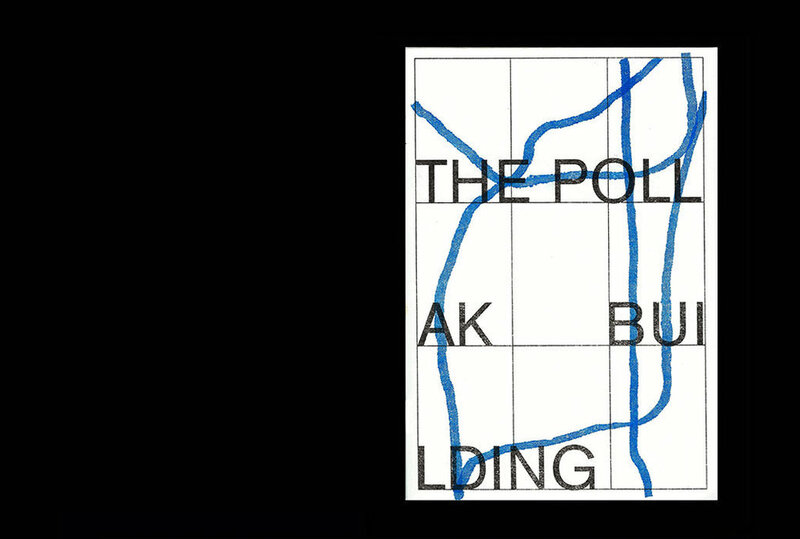 Research-based publication where content is organized using a grid informed by the structure of the building, as well as speculative wayfinding signs and maps. 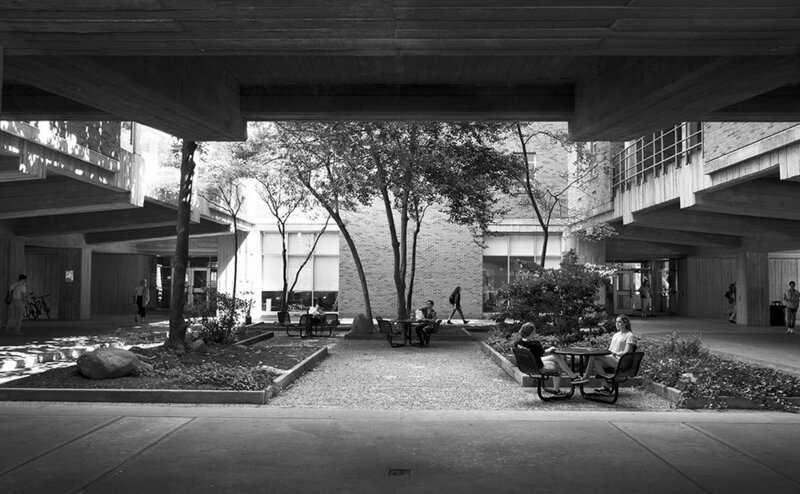 Information could never enter the middle module, reflective of the building’s hollow center (possible by a courtyard - pictured). Paths were recorded based on movement of those in the space, and are overprinted using the risograph throughout.